Two mountaineers kneel down beside Otzi the Iceman just days after his discovery, but before he could be moved, in September 1991. Otzi the Iceman on display at the Archaeological Museum of Bolzano on Feb. 28, 2011. 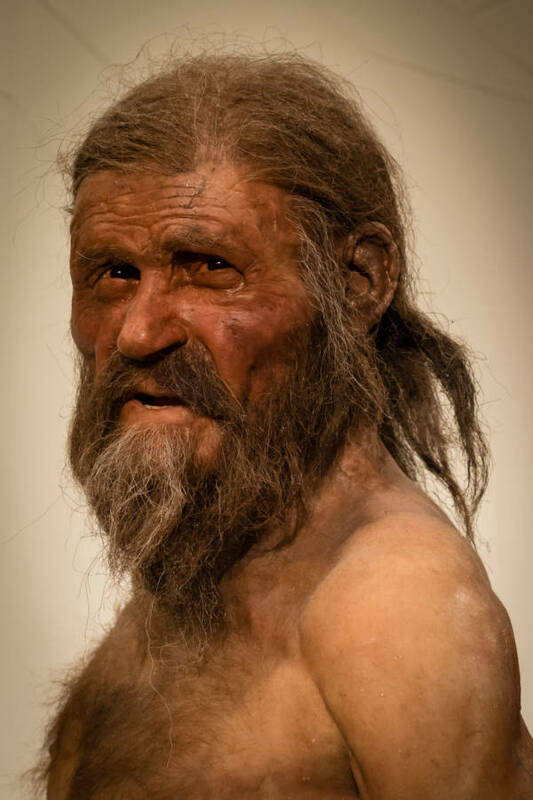 A recreation of what Otzi would have looked like when he was alive.